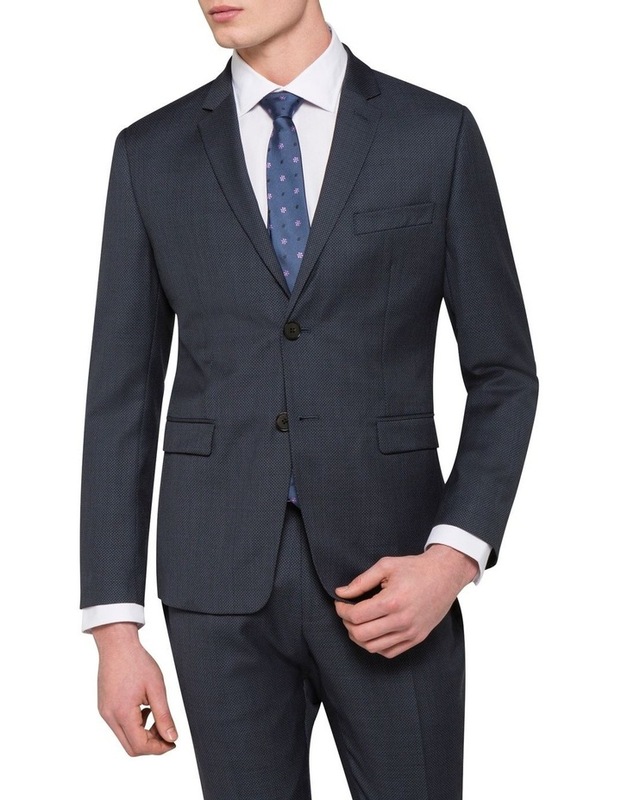 Stylish and elegant, this Calvin Klein Charcoal Dobby Suit Jacket is perfect for any business or formal occasion. 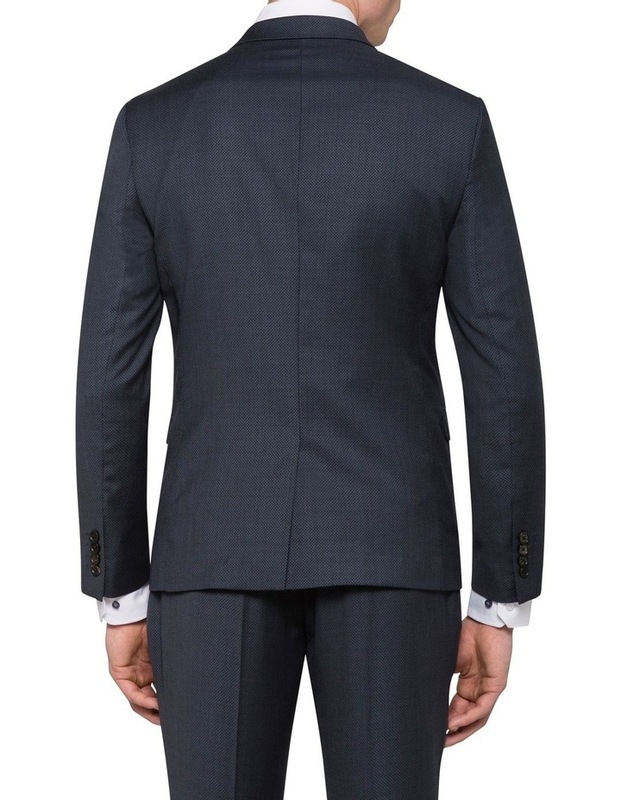 Impeccably tailored for an extreme slim fit, this 100% wool suit jacket features genuine horn buttons, single breasted design and Calvin Klein embossed lining. With streamlined structuring and contemporary details, you can transition seamlessly from day to night.